In 1969 the Central Committee of the Communist Party of the Soviet Union decided that a new plant for manufacturing supersized vehicles was to be built in Naberezhnye Chelny which is now in the Republic of Tatarstan a federal subject of Russia. The first trucks started rolling out of the KamAZ, Kamskiy Avtomobilny Zavod – Kama Automobile Plant, facility in 1976 and since then the company has built over 2,000,000 vehicles. 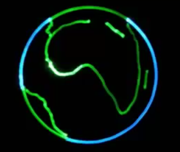 It’s factories are now also found in; Afghanistan, Chile, Ethiopia, India, Indonesia, Iran, Kazakhstan, North Korea, Nicaragua, Pakistan, Panama, Poland, Saudi Arabia, Sudan, Turkmenistan, Ukraine, Venezuela and Vietnam. 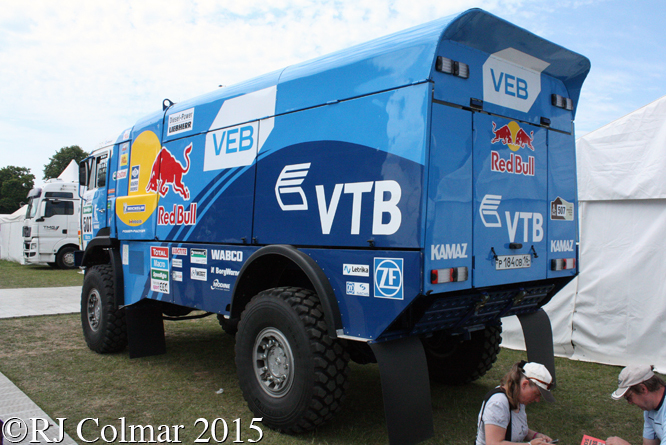 KAMAZ has also built an enviable reputation on the Dakar Rally where it’s T4 competition vehicles have won the Truck class of the Dakar Rally 14 times. 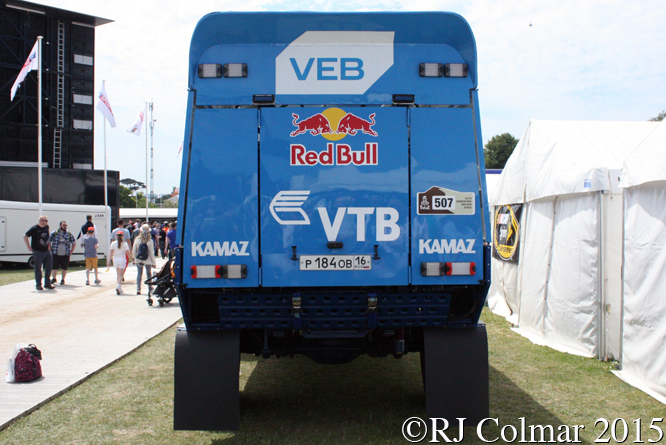 Today’s featured 20,000lb / 9071 kgs KAMAZ T4 is powered by a 17.2 litre / 1049cui turbocharged diesel V8 that produces 730hp mounted behind the front axle that drives all four wheels through a sixteen speed gearbox. Suspension is by leaf springs, 15 on each corner at the front and 10 leaves on each corner at the rear, which are supplemented by Reider Racing shock absorbers. The cargo area carries two fuel cells with a combined capacity of 230 gallons / 1000 litres with tools and spares supplemented by two 50″ Michelin XZL tyres mounted on 20″ wheels, the tyre pressures on the truck are monitored and adjustable from with in the cab. 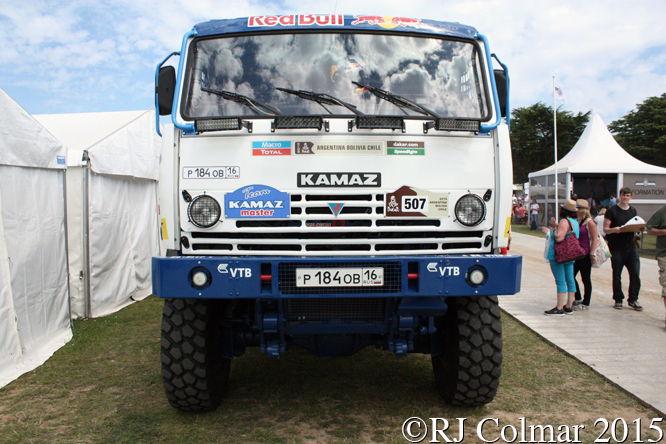 The #507 seen here at the Goodwood Festival of Speed was driven to victory in the 2015 Dakar Rally by Ayrat Mardeev, Aydar Belyaev and Dmitriy Svistunov ahead of two more KAMAZ crew’s who finished 2nd and 3rd with a 4th KAMAZ place 5th. Ayrat Mardeev who was competing on his 4th Dakar Rally is the son of Ilgizar Mardeev a former KAMAZ Rally Raid driver killed in a quad bike accident in 2014, Aydar Belyaev the navigator was the most senior member of the KAMAZ team while mechanic Dmitriy Svistunov was taking part in his first Dakar Rally. Thanks for joining me on this “Inspired By Dad” edition of “Gettin’ a li’l psycho on tyres” I hope you will join me again for Mercedes Monday tomorrow. 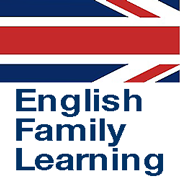 Don’t for get to come back now ! 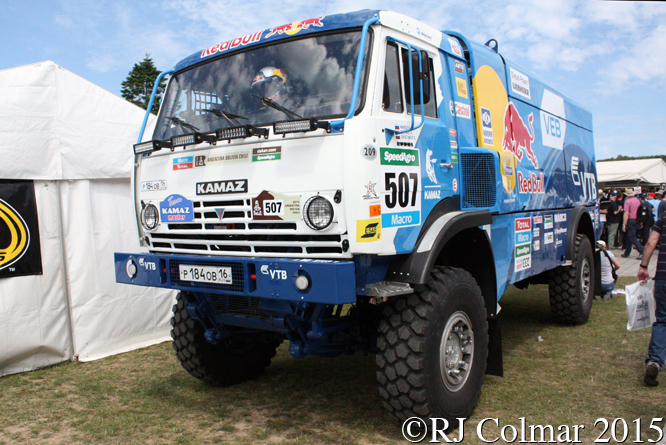 This entry was posted in Uncategorized and tagged Belyaez, Chelny, Colmar, Dakar, Festival, Goodwood, KAMAZ, Mardeev, Michelin, Naberezhnye, of, Psychoontyres, Rally, Ralph, Reider, Speed, Svistunov, T4, Tatarstan on January 31, 2016 by Ralph.